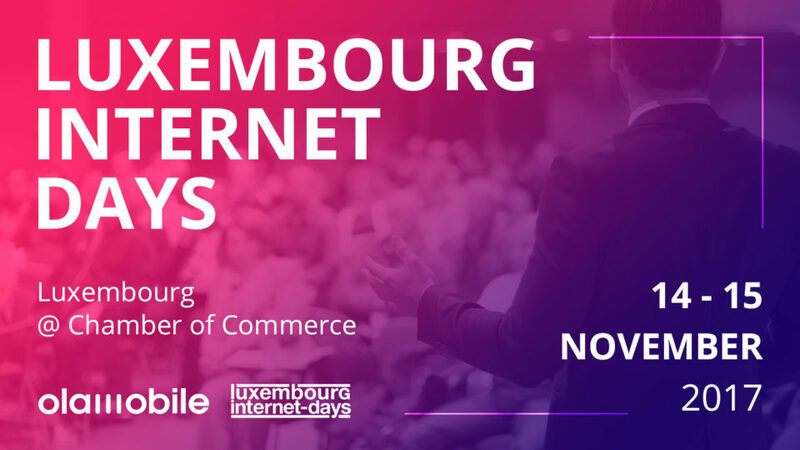 The OLAmobile team is proud to announce we will be part of Luxembourg Internet Days 2017. Since our headquarters are in Luxembourg, it’s only natural that we will attend the season’s must-visit event. In fact, Luxembourg Internet Days is an event that OLAmobile always attends. It has established itself as one of the key gatherings for ICT professionals, especially because it’s such a unique chance for every single attendee to hear some truly remarkable speakers. The interactive debates, overall pragmatic approach, and the many networking sessions are also perfect reasons for OLAmobile to be part of this unmissable networking event. We’re excited and prepared to meet enthused professionals who share a passion for our innovative and ever-growing business. Come meet the OLAmobile team in Luxembourg. Share the post "OLAmobile will be at Luxembourg Internet Days 2017"
OLAmobile was part of Luxembourg Internet Days 2016!